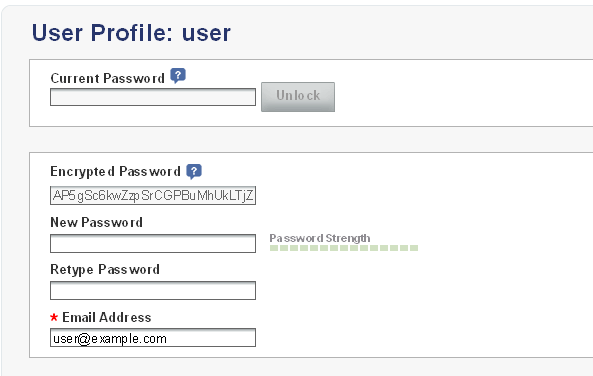 Access profile details by clicking the hyperlinked username in the top right corner. Enter the current password in the “Current Password” field and click the “Unlock” button. Click “Update” to save your changes.